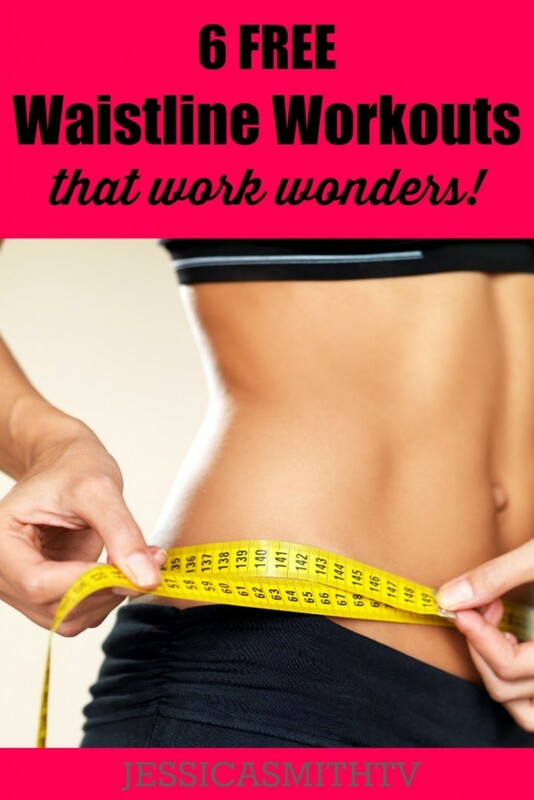 If you are looking to tighten up your abs and draw in your waistline a bit (who isn’t? ), be sure to check out these 6 free workout videos on our YouTube channel. Whether you have 20 minutes or only 5 to spare, these routines will have you ready for the beach in no time. The best part is you don’t need a single piece of equipment (though a mat is recommended for hard floors), so you can squeeze in a serious abs session anytime, anywhere! (Don’t forget, abs can be strengthened and flattened with exercise, but they are made in the kitchen — so be sure to pair your workouts with a healthy diet to see the results of all of your hard work). Just like it sounds, you’ll work all the muscles around the waistline with these targeted, Pilates exercises. Plank your way to a more sculpted physique – no equipment required! This routine is filled with plank-based moves that help you burn more calories than simple crunches and work your every muscle (with a major emphasis on the core) for a unique and effective body weight only workout. Get firm, flat abs without doing a single crunch with this core centric strength session. Moms, if you are trying to get your abs back after baby, this might just be the workout for you (suitable for most new Moms with their doctor’s clearance). Hate getting on the floor to work your abs? Skip the floor work and stay upright for this Pilates inspired routine that works your waistline from every angle for maximum results. Ready to kick things up a notch? Change up and challenge your abs routine with this quick circuit of moves for some serious core conditioning that requires very little space. Five minutes is all you’ll need to feel the burn with this super quick circuit of some of the most effective abs moves you can do! Really helpful and just genius!